As a tech-loving geek who’s lived and worked as an Aussie expatriate in the heart of tech heaven, Silicon Valley I’ve tested, tried and fallen in ‘love’ with a myriad of innovative apps . . . and none more so than Uber. As a former startup tech company founder, I love that Uber solves the many problems and frustrations of dealing with regular taxis . 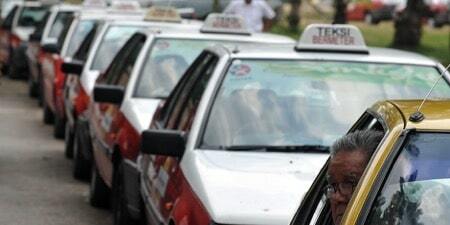 . . things that every expat has experienced before (any expat based in Malaysia knows these problems all too well – 10 Countries with the world’s worst taxi drivers). Things like, quality of service, quality of vehicles, reliability, price, visibility and importantly, driver and passenger security . . . and all because of a mobile phone app . . . awesome! But as an accountant and expat that travels to different cities regularly, I love that Uber solves the problem of a recording my travel expenses . . . seriously, how good is it that Uber delivers the receipt along with all the details of your trip directly to your email within minutes of exiting the vehicle . . . perfect for maintaining your travel expense records for your business or your employer. Although I and many others love Uber, many governments do not. Uber has shaken the world’s taxi industries up and haven’t won too many friends in government, or the industry alike . . . and this is where one of the problem lies. Aside from the potential loss of taxi license revenue, governments around the world, have not been able to keep up with the pace of technology and so, haven’t specifically dealt with the tax issues of drivers in the new, ride-sharing economy. But in a recent ATO publication, the Australian Taxation Office stated that Uber drivers fall under a broad definition of ‘taxis’ as defined by Australia’s GST act. The ATO went further and stated that drivers would also be required to include the income that they earn from driving for Uber in their personal tax returns. So what does this mean? In the short-term it means although Australia’s Uber fares are higher than many other countries, expats returning to Australia will find that Uber fares have risen disproportionately compared to elsewhere due to the imposition of the GST. But this is where things get interesting because as the headline to this blog post alludes, Uber have taken the gloves off and filed an action against the ATO in the Federal Court. It’s too early to determine the outcome, but we’ll be watching this case with interest . . . stay tuned!